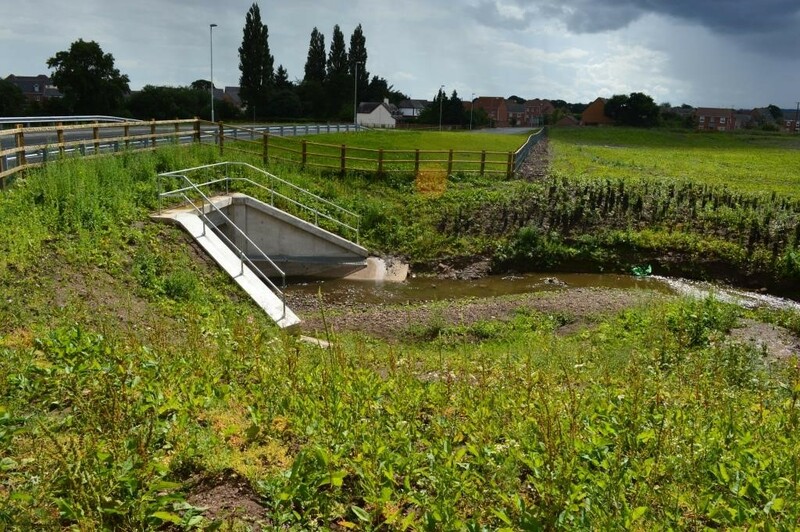 The long-term objective of the Wrexham Western Gateway Project is to enable the undertaking of the third phase of the Wrexham Technology Park, bringing in businesses that can help drive the Wrexham economy through the creation of new, better paid jobs and high quality homes. 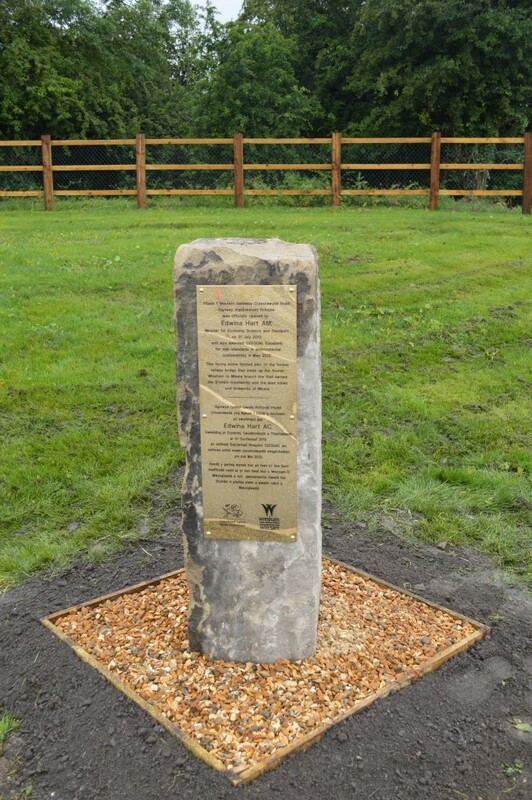 Croesnewydd Road, Phase 1 of the Western Gateway Project, involved the improvement of both the horizontal and vertical alignments of the existing road in the vicinity of Croesnewydd Railway Bridge, providing easier access to both the Technology Park and adjacent Maelor and Yale hospitals. The new highway alignment was constructed off-line and required the construction of a pre-cast concrete culvert. This involved the diversion of the River Gwenfro under the new highway just downstream of Croesnewydd Railway Bridge. This work involved the use of guided auger boring techniques to bore and sleeve 2 No. 600mm diameter steel pipes under the existing road. The redundant Croesnewydd Pont Bridge was then demolished as part of the Works. Major parts of the works included the demolition of the Croesnewydd Railway Bridge, which suffered from poor visibility and weight restrictions, and the relocation and improvement of an existing attenuation pond along with the construction of an additional new pond. 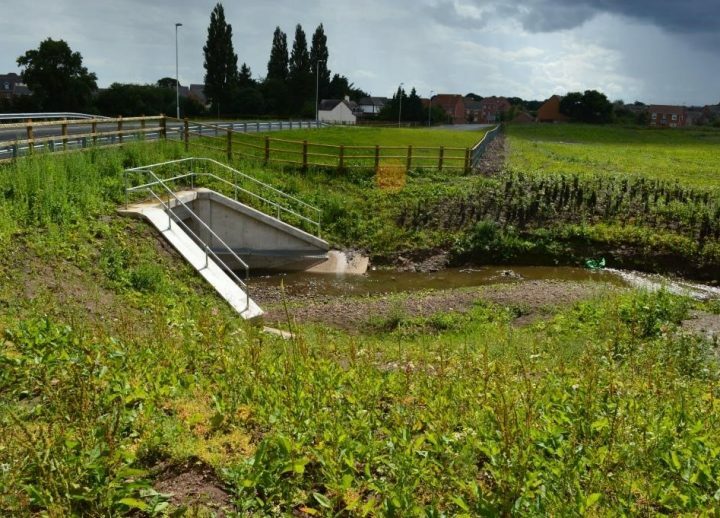 Works on statutory services were also undertaken with the taking down and replacement of existing lighting columns, drainage improvement works and the provision of ducts for future street lighting and other utility services. Extensive service diversions were also undertaken, including two large water mains, gas main and a fibre optic speed data cable. 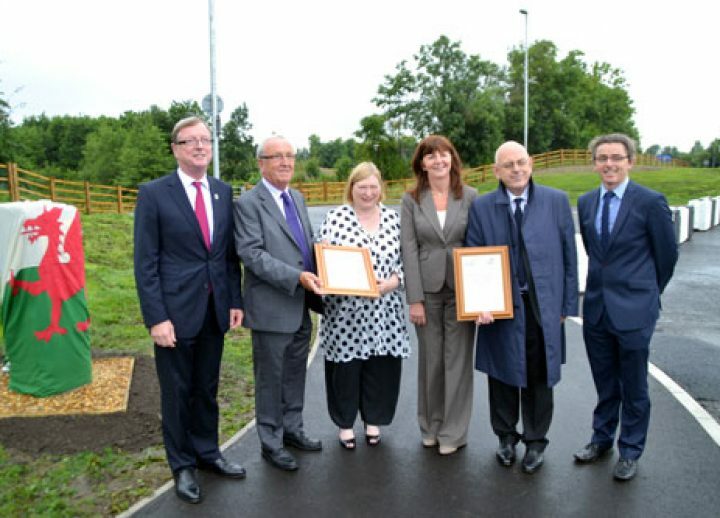 The works also included the construction of a new cross-roads junction, incorporating a new footpath and cycleway. This will provide opportunities for a new link to be constructed to the hospital car park along with the provision of a new spine road in the west opening up the Western Gateway for future development. 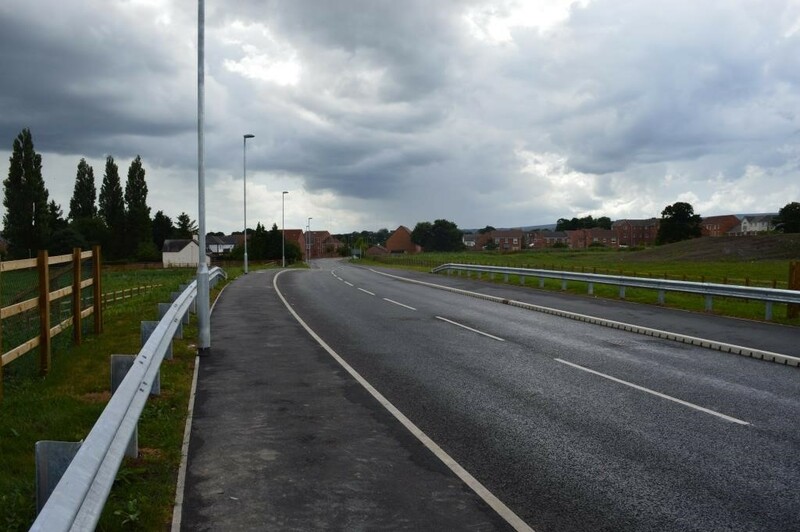 Works to the existing carriageway were undertaken on-line and required significant traffic and pedestrian management. 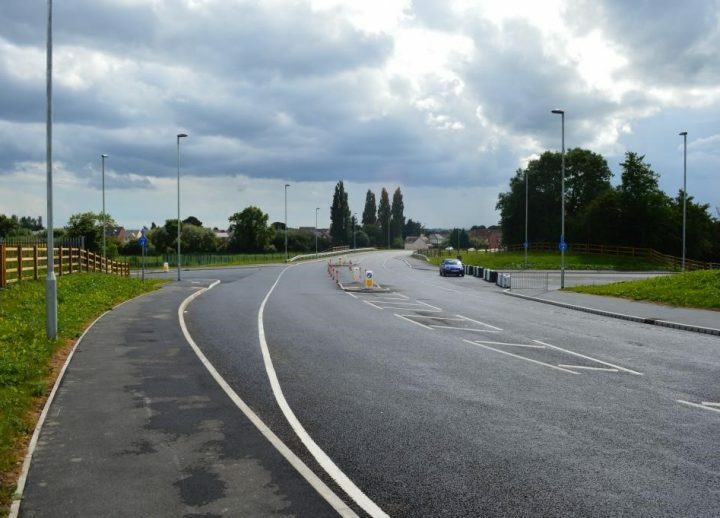 Single way traffic flows were maintained throughout the project with works phased to mitigate the need for any road closures. The project required extensive liaison with stakeholders, including a private hospital that was in close vicinity to the works. The works were programmed to ensure constant access to the hospital was maintained at all times. Vibration monitoring was also undertaken due to the sensitive nature of surrounding neighbours. 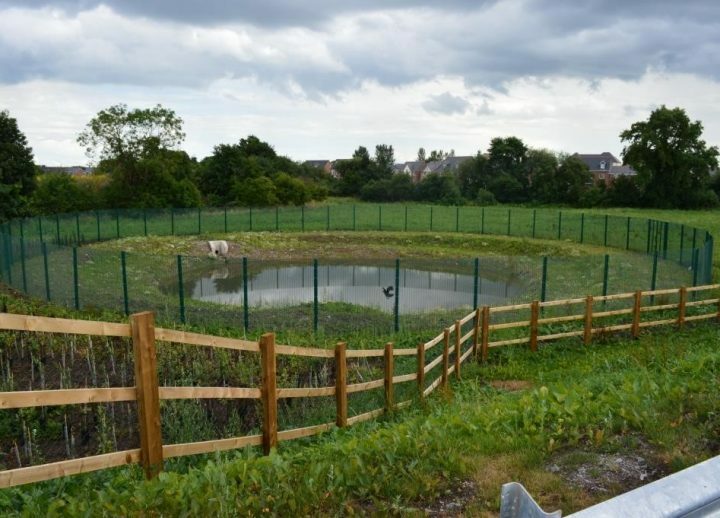 The Project was registered with the Considerate Constructors Scheme achieving scores of 33/40 & 34/40 over the two inspections. A local Civil Engineering student was also employed as part of the contract and he remains in fulltime employment with Griffiths. Further work experience was provided for a local student who worked one day a week in order to enhance his studies. 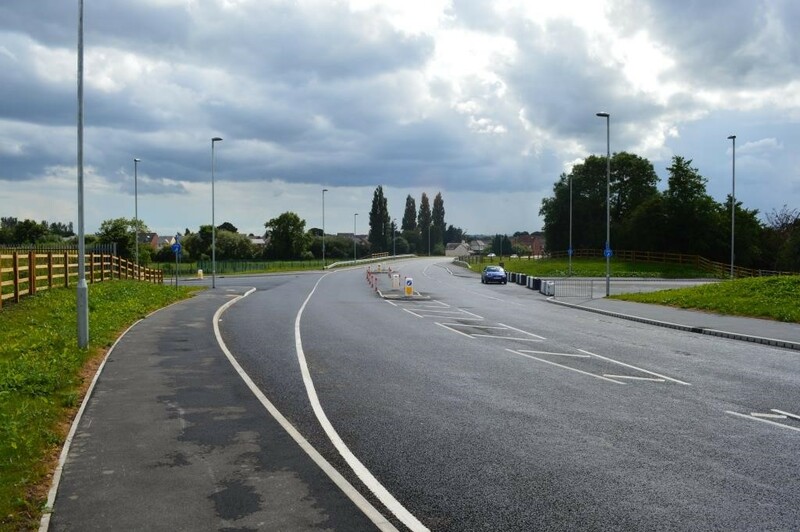 The Project added further value by means of recycling existing road materials for re-use across the works and provided cost savings by means of proposing an alternative surface course. 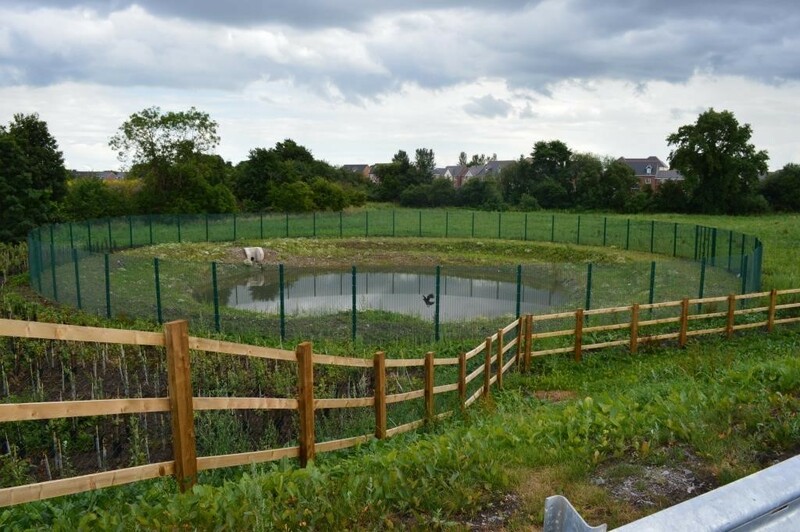 Embankment fill material was utilised from an adjacent borrow pit and reduced the projects’ carbon footprint by minimising the distance and number of deliveries required. 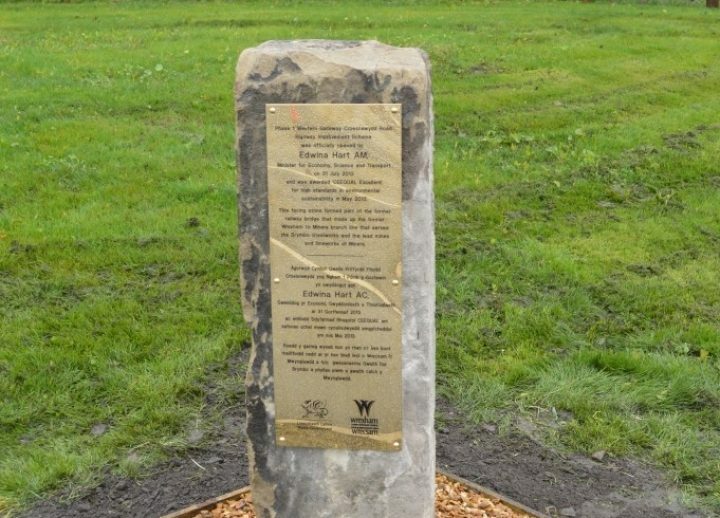 The project was officially opened in July 2013 by the Minister for Economy, Science and Transport Edwina Hart AM, within which a commemorative plaque placed on one of the old Croesnewydd Railway Bridge stones, was unveiled. 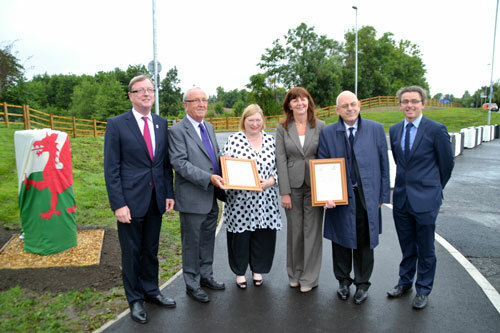 During the proceedings the Wrexham Western Gateway, Junction 3 Project was also awarded a CEEQUAL Excellent award, achieving 82%.